Take a moment to consider what you need to get done on your computer today. 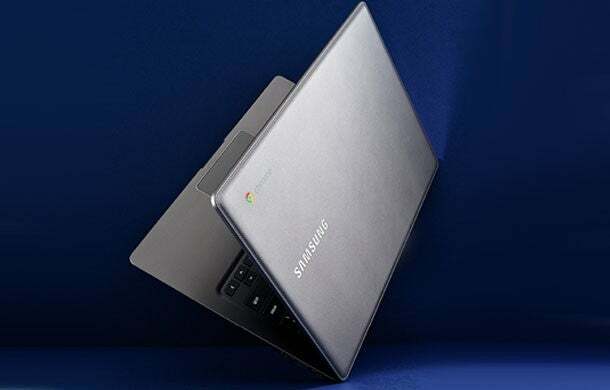 Chances are you can accomplish all of it with a value-minded Samsung Chromebook 2 ($400), a 3-pound laptop with a leather-like cover that runs Google's browser-based Chrome operating system and has all the trimmings of a top-of-the-line computer. To wit: a bright and glare-resistant 1080p, 13-plus-inch display and an eight-core processor that speeds through web-based applications such as videoconferencing in Google Hangouts, creating and editing documents stored on Google Drive or watching YouTube videos. With only 16 GB of storage, the Chromebook 2 isn't built to hold much of anything for offline use, but it'll let you write e-mails, edit files and check your calendar. Best of all, Google's continuous online updates should help you--and your cloud-based data--stay safe from malware. Should you run a business with Google's apps? Though Chromebooks are a recent phenomenon, Google's browser-based OS has been around for six years. Rajen Sheth, director of product management for Google devices for business and education, says the system heralds a new way of working, with computer users shifting away from programs stored on hard drives to cloud-based applications. That anywhere/anytime access is nice, but it's the long-term cost savings that Google is counting on to drive adoption. According to Sheth, recent widespread deployment of Chromebooks in the education space dropped IT-support hours by 92 percent and deployment hours by 69 percent. "That makes it appealing to IT departments," he says, "because the total cost of ownership is a lot less."